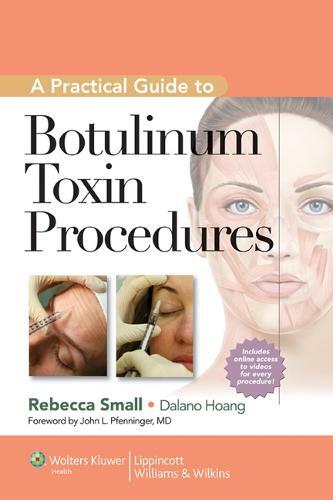 Practical Guide to Botulinum Toxin Procedures is one of four books in the new Cosmetic Procedures series. This series offers guidance to primary care practitioners who wish to expand their practice to minimally invasive cosmetic procedures. Whether the physician is just getting started or well versed in aesthetic medicine, this series can be used as a routine quick reference for current aesthetic procedures that can be readily incorporated into office practice. The series will put these cosmetic treatments into the hands of the physician the patient knows and trusts the most, and will bring primary care practitioners increased autonomy, improved patient satisfaction, and added reimbursement. Initial chapters cover treatment in the upper third of the face for frown lines, horizontal forehead lines, and crow's feet-procedures suited for practitioners who are getting started with cosmetic botulinum toxin treatments. Subsequent chapters cover more advanced face and neck procedures and treatment of axillary hyperhidrosis.